This ice cream was really good, and everyone at the market and deli were super friendly. I thought the price of this ice cream was really great – a nice big scoop for very little money! 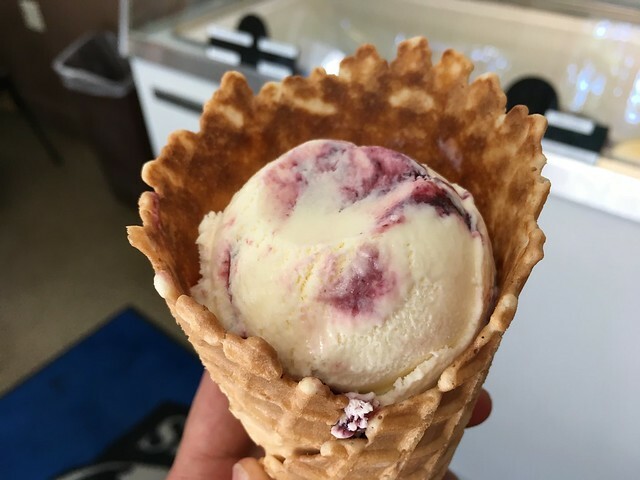 This entry was posted in Seabolt's at Deception Pass and tagged creamery, dessert, food, icecream, wafflecone by vicentesf. Bookmark the permalink.